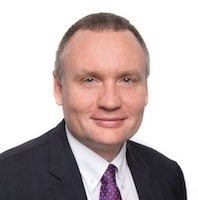 Dolf Gielen is the director of the IRENA Innovation and Technology Centre in Bonn, Germany. He oversees the agency’s work on advising member countries in the area of technology status and roadmaps, energy planning, cost and markets and innovation policy frameworks. What is your vision for decarbonising heating and cooling in Europe by 2050? I envisage a near future with a lot of heat pumps, DHC using renewables, solar water heating and space heating at building and district level. Seasonal thermal storage will also be much more developed. What is your contribution to this vision as stakeholder in your professional environment, but also as individual? As IRENA we work with over 150 countries to accelerate RE deployment. We provide the latest technology and cost information, advise how to design enabling policy frameworks, point out best practice. Who do you think is the strongest ally in making your vision of a decarbonised Europe a reality? The governments and engaged citizens.